You probably know Rebel Wilson from her steal stealing turns in Bridesmaids and the Pitch Perfect franchise. But the actress has a new role– fashion designer. 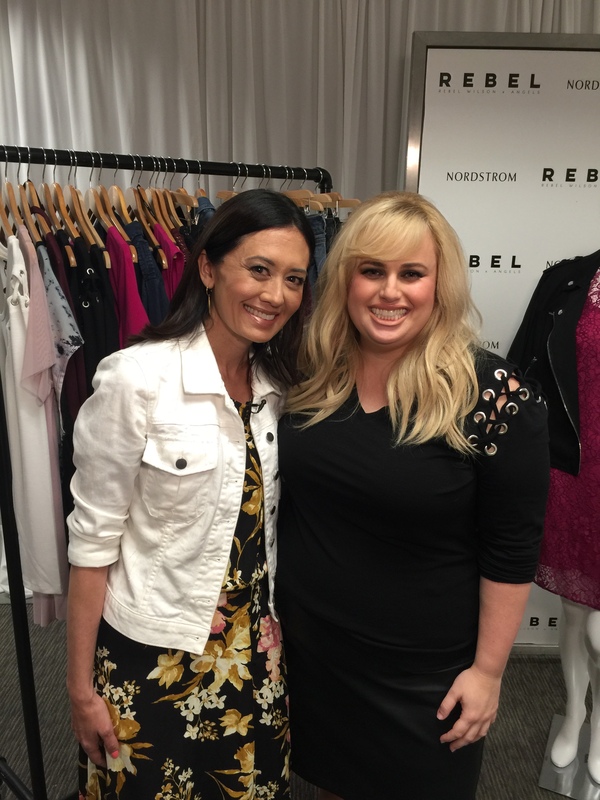 I got a chance to meet her in person and see her line Rebel Wilson X Angels at Nordstrom and I have to tell you… I LOVED it all… and Rebel too! Note: this is not a sponsored post. I just want to share this fresh new collection with you. 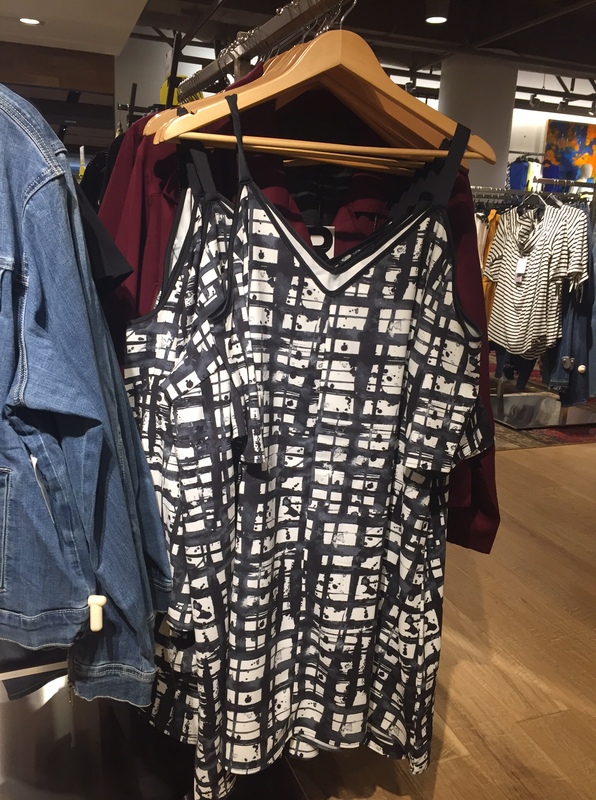 Rebel was at the Nordstrom Flagship store in Seattle for the launch of her line. I was there to do a story for Seattle Refined, which is a lifestyle show on the local ABC affiliate, KOMO TV. I was so excited to meet her and do the segment. I saw a ton of people from her team wearing the Rebel Wilson X Angels pink bomber jacket. All I can say is… I want. 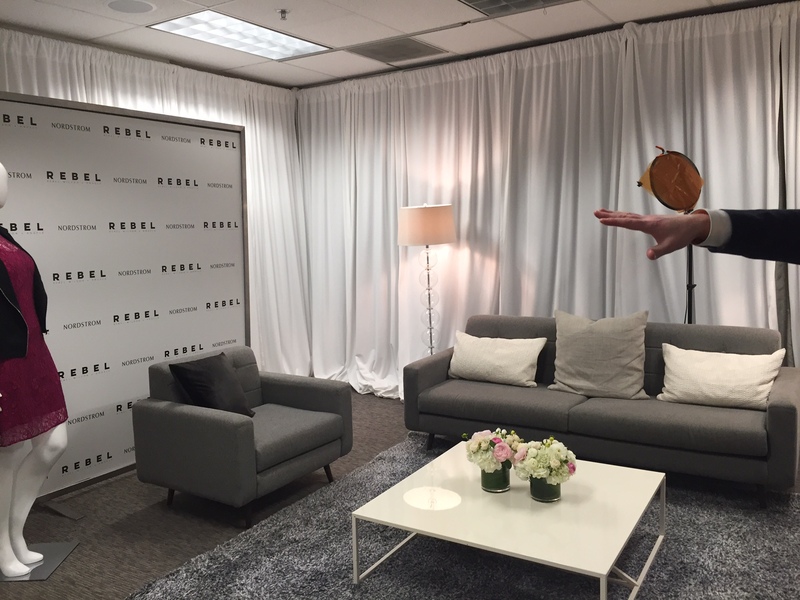 In case you’ve ever been curious about what an interview space looks for something like this– here it is. And on the left of the room, there was a rolling rack full of Rebel’s clothes. I briefly contemplated rolling it down the hall and into the elevator but there were too many people around (kidding!). Just to give you a sense of the clothes I was lusting after, here’s a photo Seattle Times Columnist Nicole Brodeur snapped from the hallway. You can see that rolling rack right behind us. When first glimpse Rebel Wilson in person– she’s radiant. Just gorgeous. Seeing her in person is even better than you would imagine a movie star looking like. She was smart, witty and a tiny bit naughty. In other words– a lot of fun. I got to ask Rebel about her design aesthetic, which she explained is “body con”– body conscious. She likes things that hug the curves. Her line is plus size (sizes 14- 24), and she explained to me that most American women wear clothes in that size range. Here’s her Stretch Jacquard Sheath Dress in Port Wine. And we all pretty much live in jeans, right? The jeans in the Rebel Wilson X Angels collection have some sort of magic in them that makes them fit well and be comfortable. These are the Pin Up Super Skinny Jeans. I love the distressed look. And that Rebel Graphic Swing Tee? Rebel is officially the best name ever for a tee shirt. Here’s another cool piece from the line. It’s the Cold Shoulder Crepe Dress. The graphic lines are stunning. The collection featured bold colors, fashion forward silhouettes and a touch of edginess. I hope you enjoyed this behind the scenes/fashion segment as much as I did. 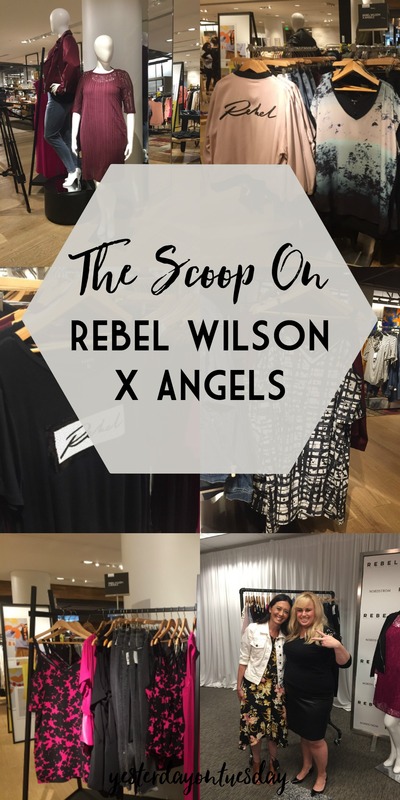 You can see more of Rebel Wilson X Angels at Nordstrom.